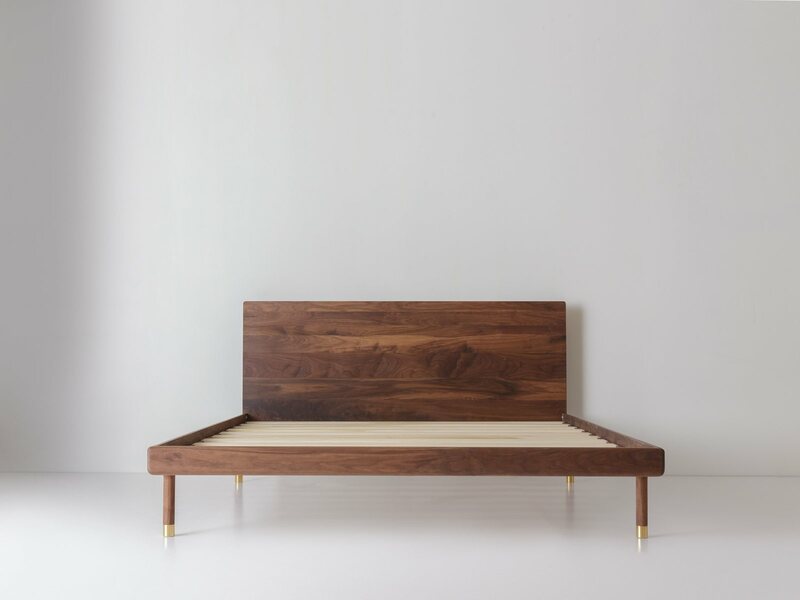 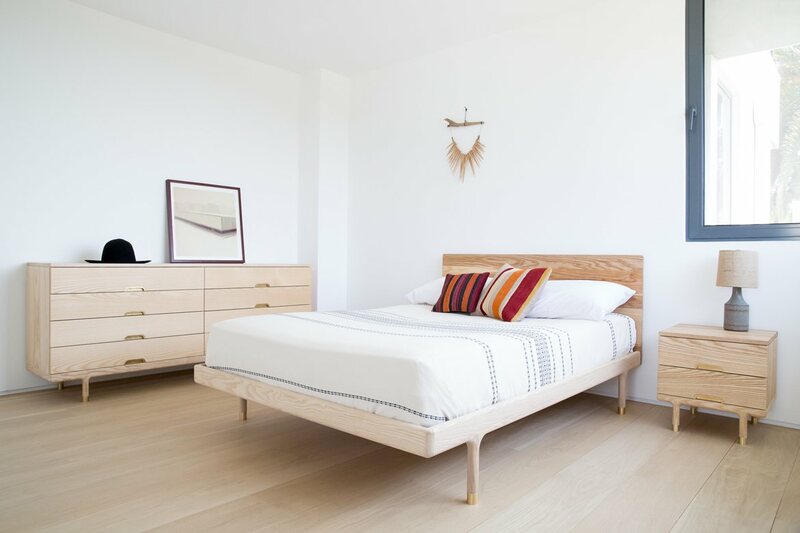 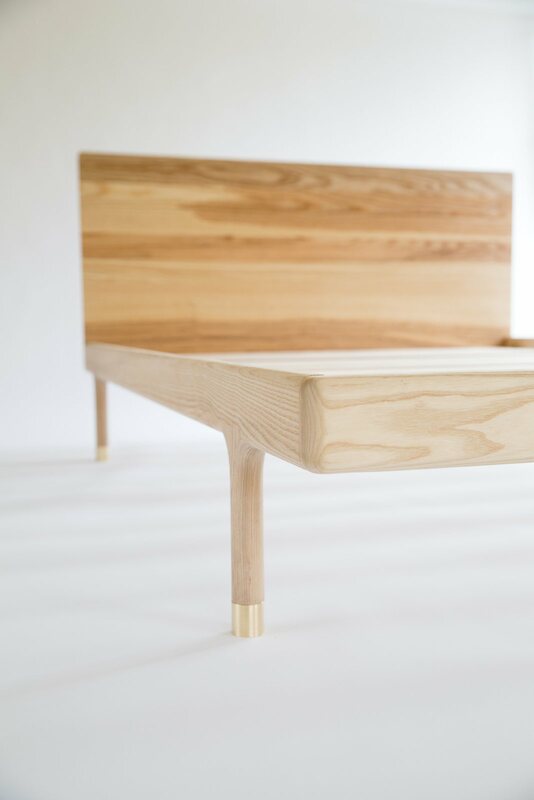 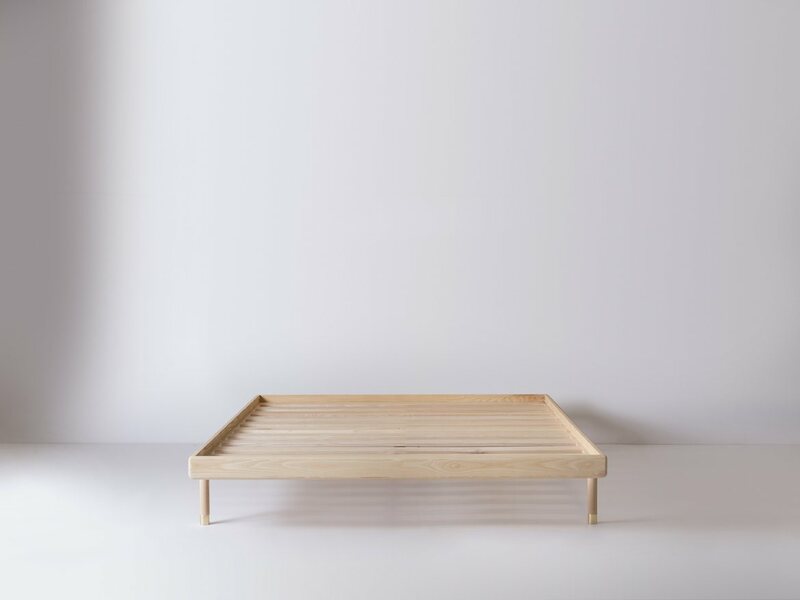 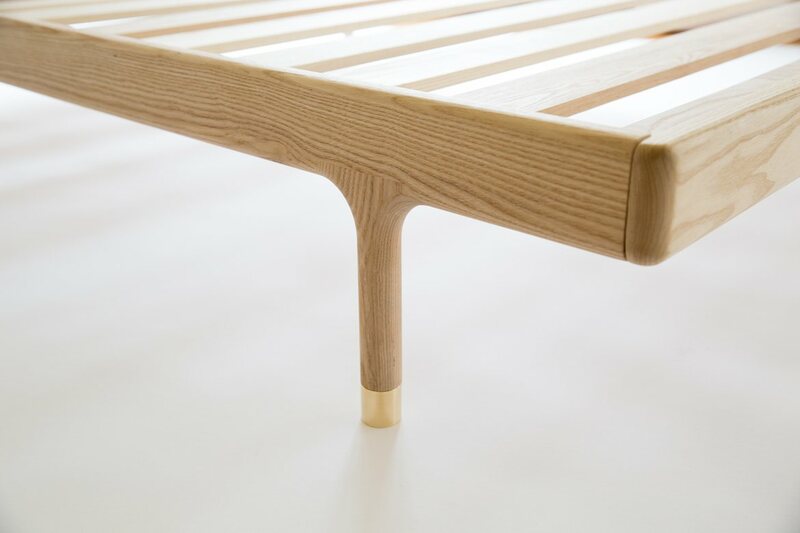 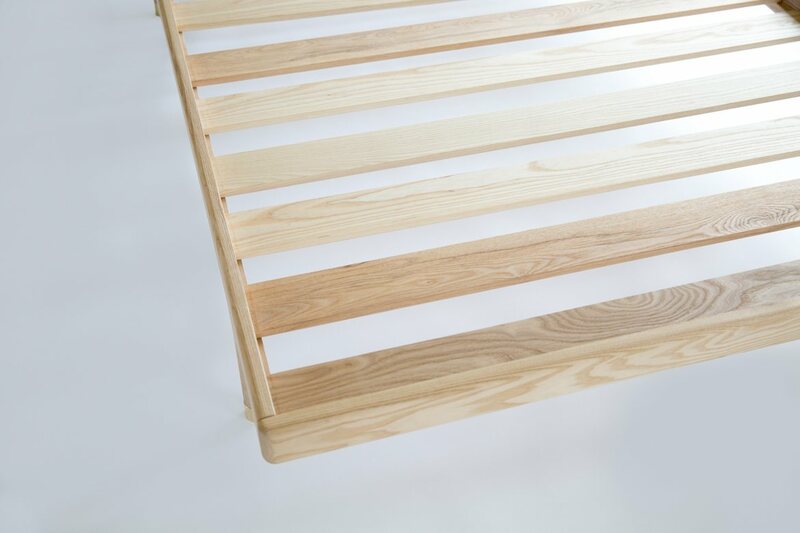 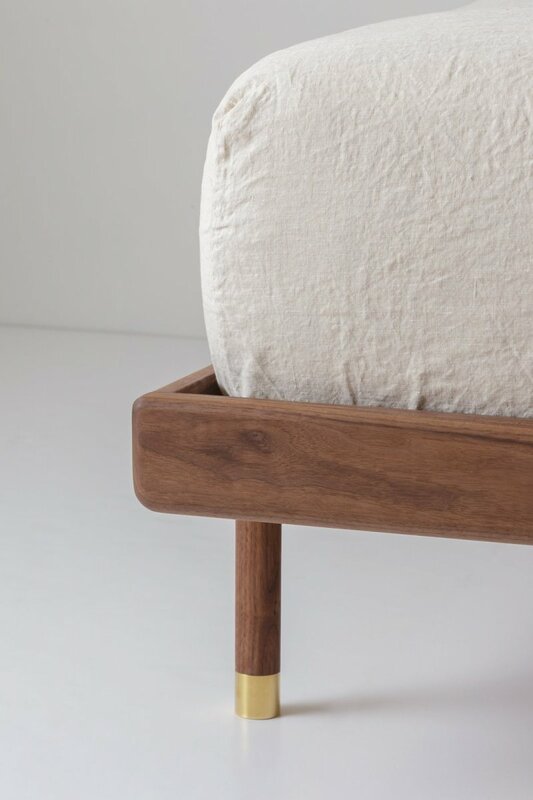 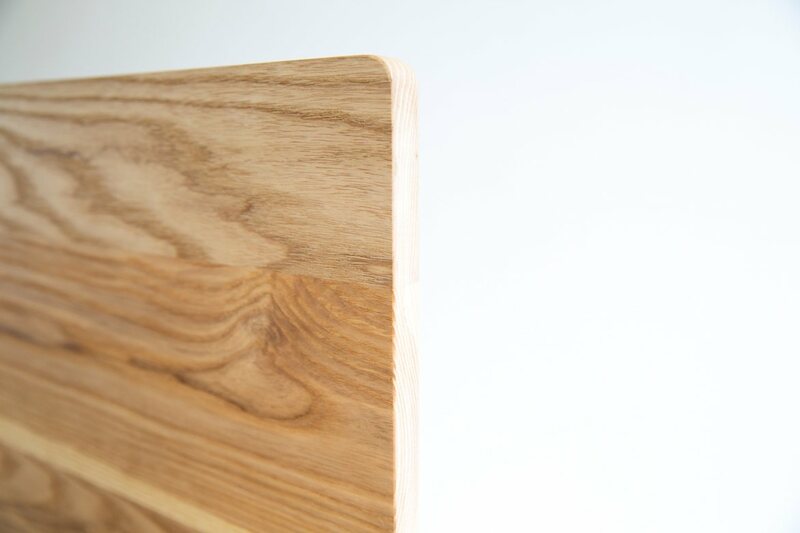 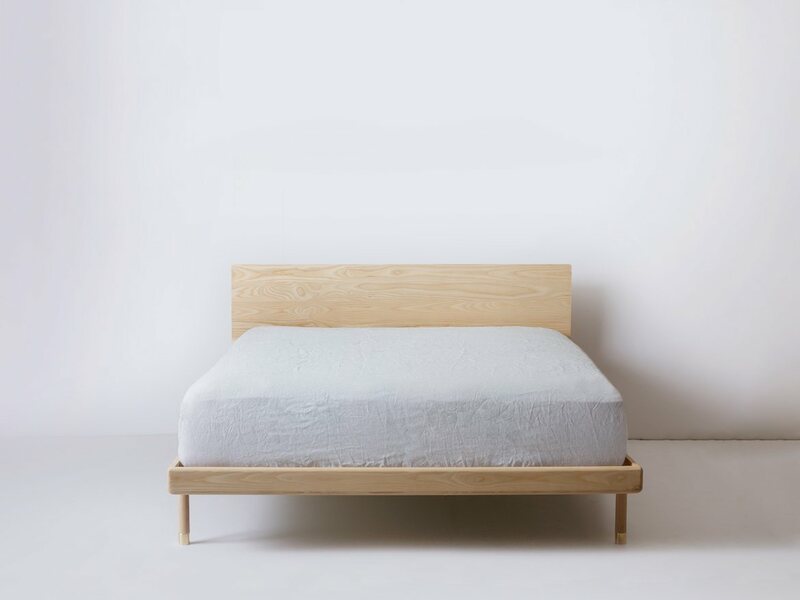 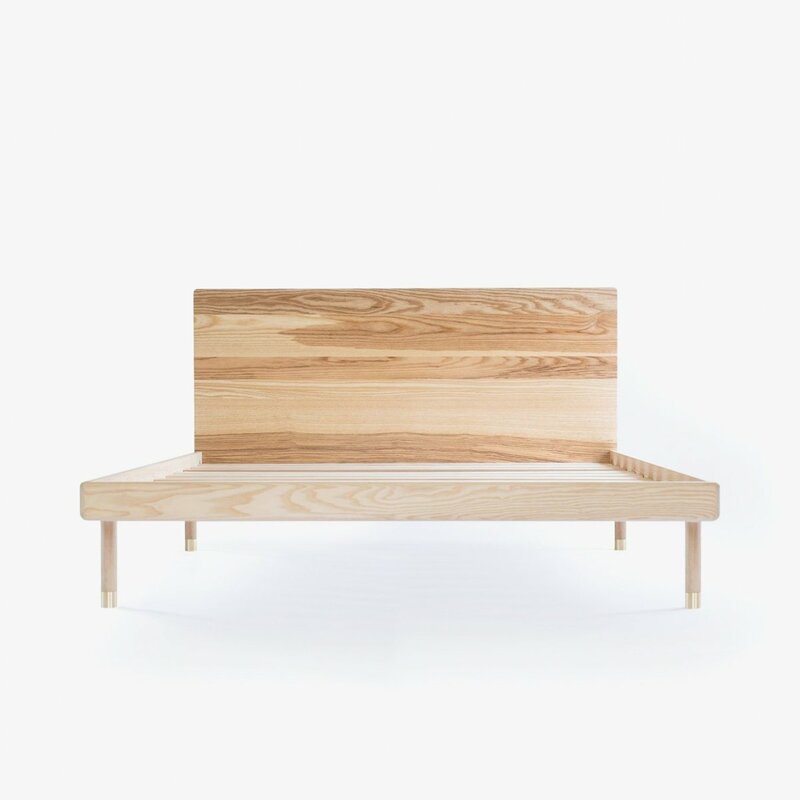 Simple Bed is a minimal and timeless wooden bed frame designed by Kalon Studios. 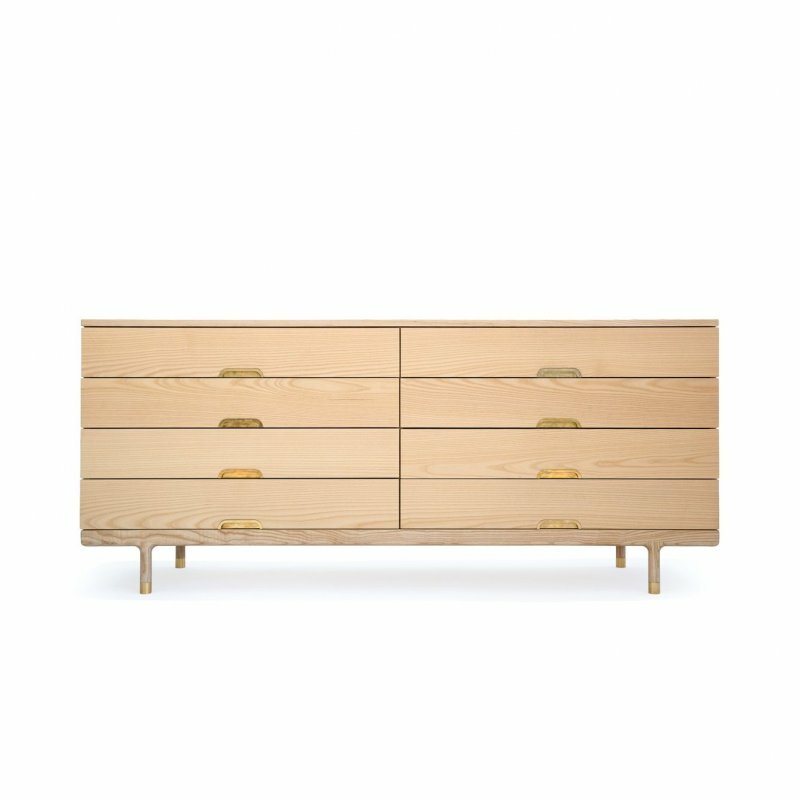 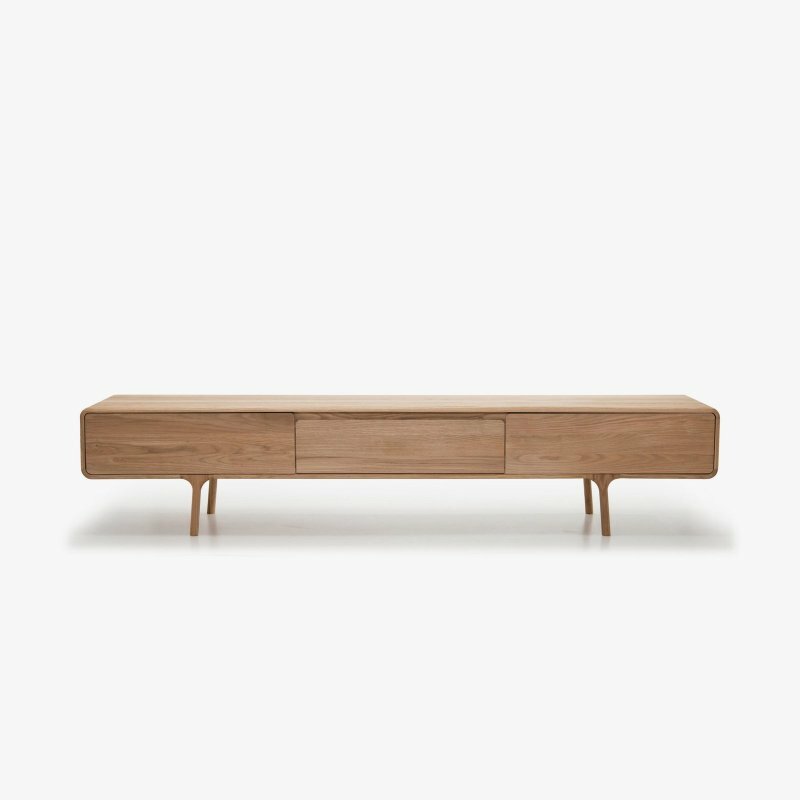 The Simple Collection explores living materials, purity of form and the quiet beauty of private spaces. 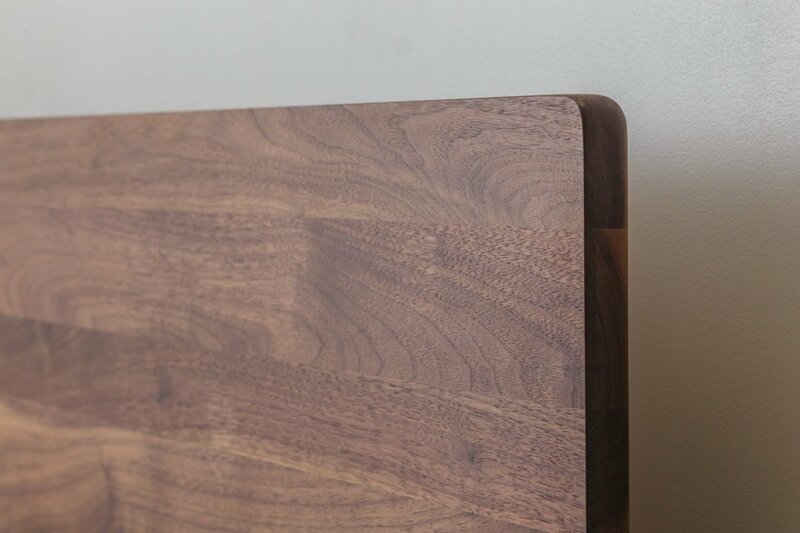 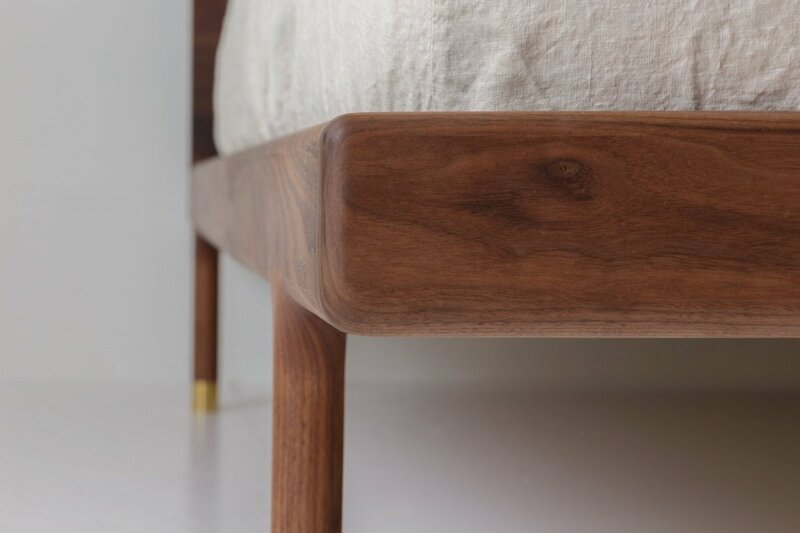 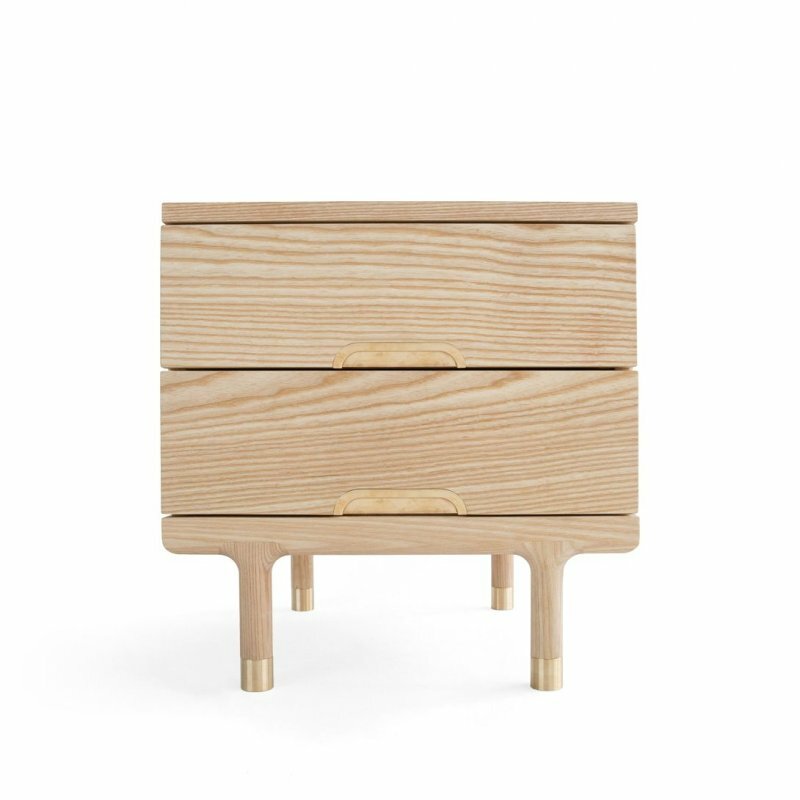 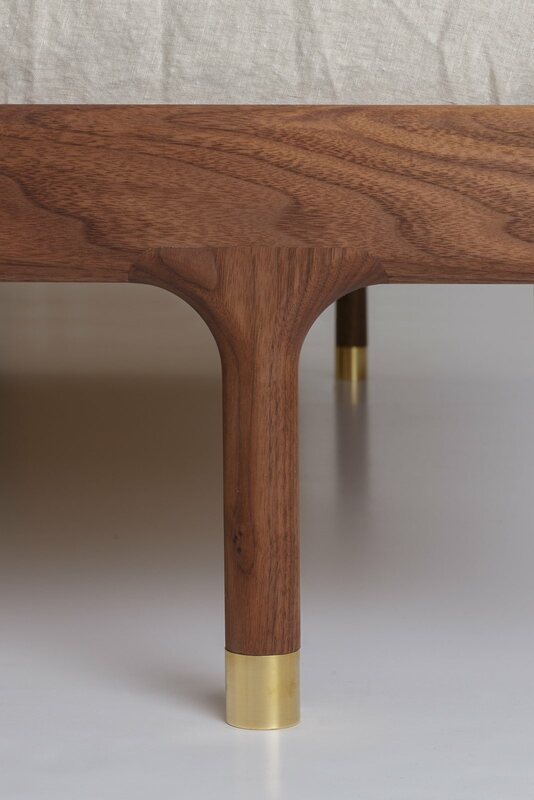 The Simple Bed is made from solid, oil rubbed ash or walnut with waxed solid, brass hardware details. 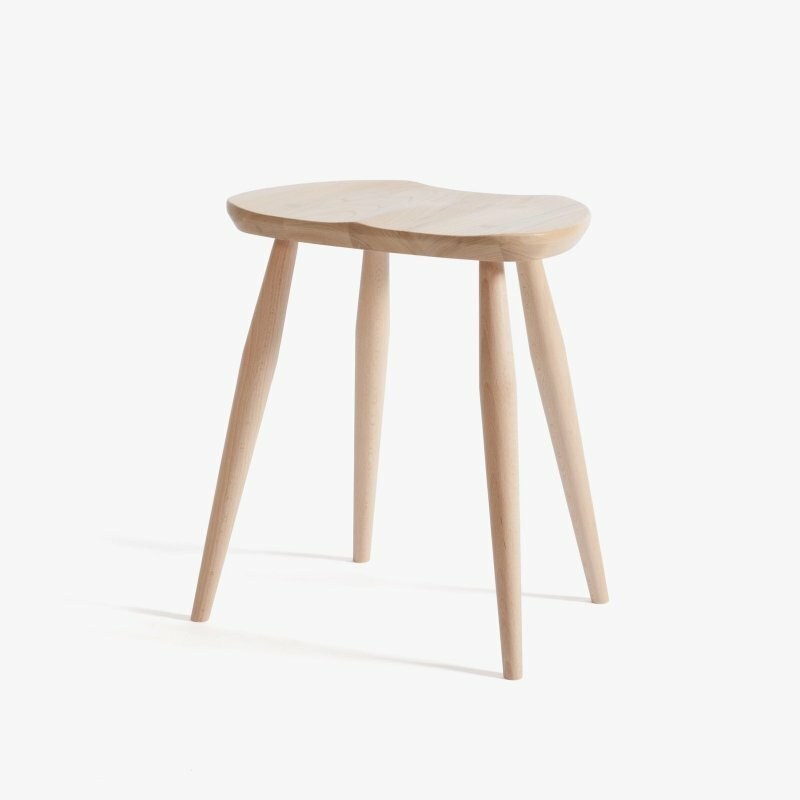 Made in Pennsylvania.